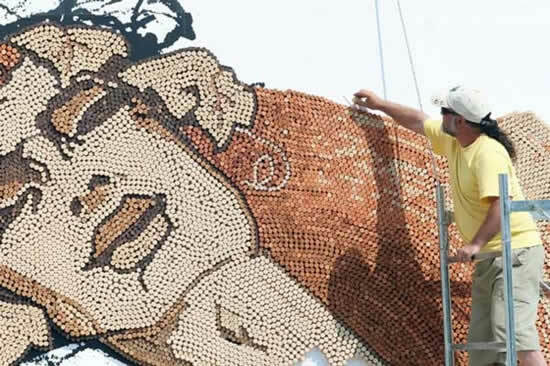 Well if one can create art out of bottle-caps I don’t see why corks can’t be used for the same purpose? 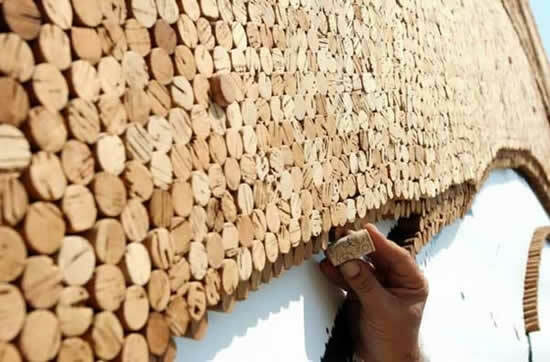 It seems Albanian artist Saimir Strati feels the same way, since he has taken on the challenge of creating a 3D painting out of 300,000 wine-bottle corks. 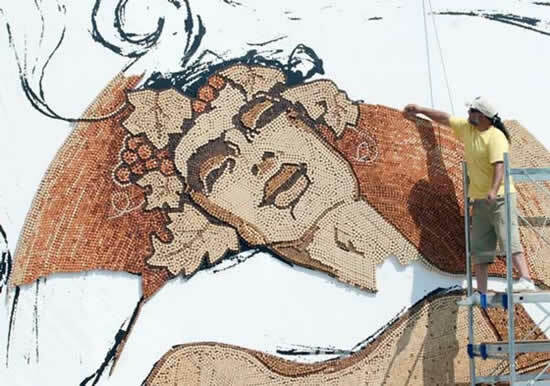 What you see in the photos is not the completed project, upon completion it will be a 96 square meter masterpiece depicting people playing guitar.This is not Strati’s first unusual artwork, in the past he has gained a spot in theGuinness Boook of Records for the world’s largest toothpick mosaic in the world. 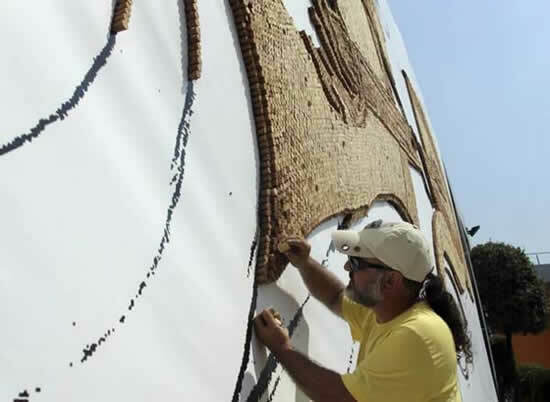 It contained approximately 1 million toothpicks and it depicted some horses. 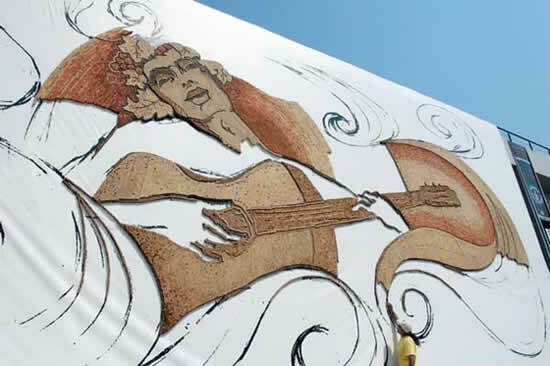 So be on the look out for Saimir Strati, he’s one special artist. …. 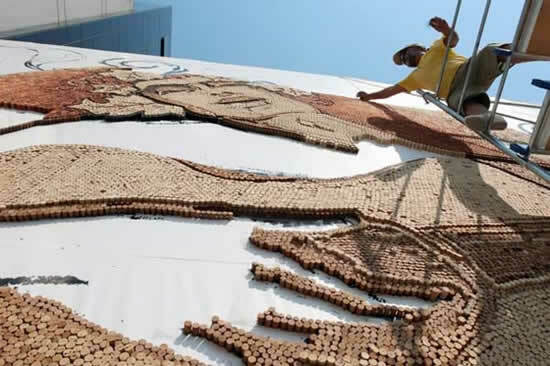 excellent and very creative artwork !! It is the great blog for any person who wants to understand about this subject. You know a lot its almost difficult to argue with you (not which i genuinely would want..
You absolutely place a new spin on the theme thats been composed about for many years. Excellent things, just great! Thanks for taking the time to write that, I found it very detailed. If you get a chance you should visit my site as well. I hope you have a good day!